Big Daddy Graham and partner in crime Joe Conklin perform as “Two Funny Philly Guys” March 28 at the Colonial Theater in Phoenixville. The entertainment calendar is loaded with good options to hear live music in the area starting tonight and reaching a crescendo on Saturday evening. The list of onstage offerings also includes a top-flight comedy show right in the heart of Chester County. On March 28, Point Entertainment will present “Two Funny Philly Guys” featuring Big Daddy Graham and Joe Conklin at the Colonial Theatre (Bridge Street, Phoenixville, 610- 917-1228, www.thecolonialtheatre.com). Big Daddy Graham wanted to be a singer and now he has a career in which he gets to sing onstage — but not as he originally planned. “I started in entertainment as a drummer in bands,” said Graham, during a recent phone interview from his home in Philadelphia. “I had a job as a paid actor for a few years but I wanted to be a singer. “Now, I am doing singing — funny songs. If I’m singing funny songs, it doesn’t need a good singer — it’s to make people laugh. At first, I was singing cabaret with a piano player. Some of the songs were parodies. I built up a following of people who wanted to laugh at me not with me. “Around that time, comedy clubs were starting to explode. A guy from Comedy Factory Outlet booked me for two shows on Friday nights and two shows on Saturday. I liked that people came in and were quiet. In the clubs I worked before, it was hard to be heard over the crowd noise. John DiBella started hosting shows on Friday nights. I was doing a song called ‘Nuns.’ Philly being the Catholic town that it is, the song got popular. DiBella said he’d play it on the radio. So, I recorded the song and it was a hit. That’s because Graham is a comic who understands how to make Philly laugh. He does it onstage and on the airwaves. 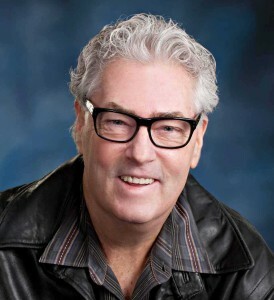 He is currently in his 16th year as a host on the sports talk radio station 94WIP, and hosts “Big Daddy Graham’s Classic Rock Throwdown” on Wildfire Radio. As a comic, Graham has appeared on a number of networks including Showtime, A&E and MTV. “It was about seven years ago when the Borgata put the show together with me and Joe Conklin,” said Graham, who is also known as Ed Gudonis. “They wanted to put me and Joe as headliners. “Joe and I have been performing individually in this area for about 30 years. For some reason, putting these two names on a bill together makes people want to buy tickets. Wee only do about four shows a year and I’m stunned at the amount of tickets we sell. “We just revamped the show big-time. We have a whole opening and we added music to the show with Spins Nitely. We each do a few songs with him and some with all three of us together. “I never go onstage without 10 new jokes. I take an index card out of my pocket and look at the joke — maybe it’s only one word. Some do great and become a permanent part of the show. Some bomb and some get a mixed reception. “A lot of the jokes are one-liners. For topical jokes, I take something tried-and-true and slip in something new — something topical. Joe does a lot of sports humor so I leave that to him. If I’m working solo, I will do some sports stuff. Conklin has been a constant in Philadelphia radio for more than 20 years, with his spot-on impressions of Barack Obama, Bill Clinton, Cole Hamels, Allen Iverson, Charles Barkley, Harry Kalas, Bobby Clarke and many others. Fearless and hilarious, he skewers some of the country’s top politicians, pro athletes, sports executives and film stars. The show at the Colonial Theatre will begin at 8 p.m. Tickets are $35 (Gold Circle), $30 (Orchestra and Front Balcony) and $25 (Rear Balcony). 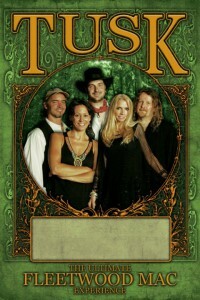 TUSK pays homage to Fleetwood Mac with a band fronted by solo artists Kathy Phillips (vocals) and Scott McDonald (guitar, vocals), and supported by veteran musicians Kim Williams (keys, vocals), Randy Artiglere (bass) and Tom Nelson (drums). “We’re a five-piece formatted to how Fleetwood Mac was when they went out on tour in the early 70s,” said Phillips, during a phone interview Tuesday evening from her home in North Jersey. “We’ve all been playing music together for over 20 years — original music. Stockton Bridge is a free bridge over the Delaware River that connects Stockton in Hunterdon County, New Jersey to Solebury Township in Bucks County, Pennsylvania. “We chose that name because our band members live on both sides of the Delaware,” said Phillips. “We mostly play as TUSK. We started back in 2007 and played locally. Then, an agent saw us perform and he took it up to the next level. “We honed our sound to the sound of Fleetwood Mac. We did our homework. On the web we found a lot of Fleetwood Mac outtakes and live shows. I watched a lot of video. Video link for TUSK — https://www.youtube.com/watch?feature=player_embedded&v=Wq4JECAV5Sw. The show at the Colonial Theatre will begin at 8 p.m. Tickets are $34.50 (Gold Circle), $29.50 (Orchestra), $25.50 (Front Balcony) and $20 (Rear Balcony). Two interesting acts are coming to Philadelphia on March 26 — Pete RG at the North Star (2639 Poplar Street, Philadelphia, 215-787-0488, http://www.northstarbar.com) and Title Fight at Union Transfer (1026 Spring Garden Street, Philadelphia, 215-232-2100, www.utphilly.com). Prior to that, he was the lead singer of the L.A.-based indie-pop band Last December and performed using his birth name — Peter Argyropoulos. When he departed Last December, he brought his musical partner/life partner Brina Kabler along with him. RG has music in his DNA. “My parents were musicians — struggling musicians in the 60s and 70s,” said RG. “They gave me the itch. I started playing in bands when I was in college. I never played guitar growing up — instead I was playing drums, clarinet and keyboards. RG’s music career started with Last December 16 years ago — a band most known for its highly-acclaimed album titled “Hailstorm.”. “Last December started in 2009 and was my project,” said RG. “I was the leader of the band. We had a really successful indie record. We signed with a major label and had different sessions with different producers. Once the band was done, I started producing different acts. “And, I was writing music for television. After doing that for a couple years, I looked at the changes in the music industry and decided it was time to be an artist again. My first solo project was ‘New Eyes’. It actually did pretty well. I was going to tour it in 2012 but I got busy with my studio instead. RG is very familiar with eastern Pennsylvania. The show at the North Star will have co-headliners — Dave Parnell and Peter RG, whose band features Dave Krusen from Pearl Jam and Adam Kury from Candlebox. Tickets are $12 at the door. Title Fight is another band with a Pennsylvania connection. The quartet — Jamie Rhoden, Ned Russin, Shane Moran and Ben Russin — is a punk rock band from Kingston, Pennsylvania. “My twin brother Ben and I started playing music together when we were about 11,” said Ned Russin, during a recent phone interview. “I started straight to bass and Ben played drums. It sounds strange to be jamming with just bass and drums but we did. We also jammed with other guys. “We all went to Wyoming Valley West in middle school. I met Jamie in social studies class. We talked about bands we liked — and about skateboarding. He started playing guitar after that. We listened to stuff like Blink 182 and to older bands like the Descendants and Minor Threat. Punk was just what we liked. Title Fight released its first album “Shed” in 2011 and followed with “Floral Green” in 2012. The band signed with ANTI-Records last year and released its third album “Hyperview” on that label earlier this year. 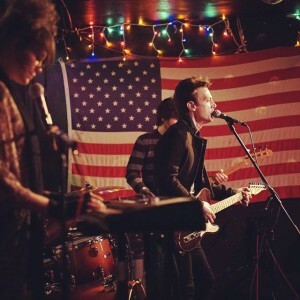 “We recorded the album last July in Conshohocken with Will Yip as our producer,” said Russin. “We were there for a little over a month. We really like working with Will. He’s a very talented guy with the board. The biggest thing — he really gets us. He’s a friend and a great coach. “The direction we took on the new album was a conscious decision. Each of our records has a different sonic thing. This time we wanted to try something different because we’re more mature. The all-ages show at Union Transfer will also feature co-headliner La Dispute along with The Hotelier. The show starts at 7:30 p.m. and tickets are $23. The calendar for March 27 features a lot of variety — ranging from the African Children’s Choir at the University of Pennsylvania to Americana band Humming House a few blocks away at the World Café Live to singer-songwriter Jacob Whitesides at the Keswick Theater. Humming House, a Nashville quintet featuring Justin Wade Tam, Leslie Rodriguez, Bobby Chase, Joshua Wolak and Ben Jones, just released its new album, “Revelries” on March 24 on Rock Ridge Music. This weekend, the band will be making a return appearance at the World Café Live (3025 Walnut Street, Philadelphia, 215-222-1400, philly.worldcafelive.com). “Most of the album had been pretty well road-tested,” said the band’s founder Justin Wade Tam, during a recent phone interview from his home in Nashville. “We recorded it a year ago and we had played a lot of the songs live before we recorded them. “The first album was recorded before we ever toured. For this album, we juxtaposed and we were able to work on arrangements. We were able to flesh out everything — even old demos. We’ve been playing these songs for a long time but our fans are excited because it’s the first they’ve been able to own them physically. “We’re still an up-an-coming band so not a whole lot of people know us. We come from a variety of backgrounds — pop, folk, Celtic, ballads, rockabilly and bluegrass. We’re an acoustic ensemble but we’re not playing traditional folksongs. Humming House also has a variety of backgrounds with regard to the band members’ hometowns. “I’m from San Diego,” said Tam. “Josh is from Detroit. Ben is from Columbus, Ohio. Leslie is from Louisville and Bobby is from Washington, D.C. We all came to Nashville for the music. “Our new album has a very live feeling. It’s a very upbeat, fun record. The majority of the parts were done live and then we did some overdubs. There was only one outside musician — a guest cello player on a few tracks. Tam’s observation that not a whole lot of people know Humming House is on its way to being outdated. With a strong album recently released and a tour schedule that includes more than 100 shows a year, Humming House is well on its way to greater recognition in the music world. 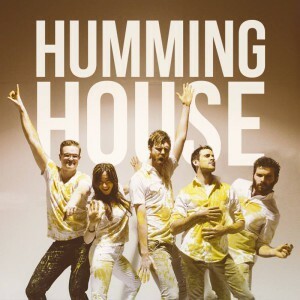 Video link for Humming House — https://www.youtube.com/watch?feature=player_profilepage&v=hNneZWboVIo. Humming House’s show March 27 on the WCL’s Downstairs Stage will be a co-bill with Drew Holcomb. Tickets for the 8 p.m. show are $14. Jacob Whitesides is a talented young singer from Sevierville, Tennessee — an artist who appears destined for fame. But, no matter how popular he might become, he will never be his hometown’s most famous star. Sevierville is the hometown of Dolly Parton and it’s an accepted fact that “Dolly Rules.” There is even an amusement park named Dollywood that occupies the site that once was an amusement park named Silver Dollar City Tennessee in nearby Pigeon Forge/Gatlinburg area, a tourist Mecca in the Smoky Mountains. Whitesides will be performing at the Keswick Theater (291 N. Keswick Avenue, Glenside, 215-572-7650, www.keswicktheatre.com) on March 27 as part of “The Reflection Tour,” which is the first major headlining tour by Fifth Harmony. Whitesides and Mahogany Lox ware the tour’s opening acts. “My dad was always in bands — playing guitar in bands,” said Whitesides. “So, I was exposed to music at a very young age. As I got older, I listened a lot to acts like John Mayer, Jack Johnson and Maroon Five. My dad listened to a lot of singer-songwriters. Whitesides built a following entirely on his own — one that is deeply rooted in his connection with his ever-growing international fan base. That fan base has skyrocketed to 1.42 million Twitter followers, increasing by roughly 20,000 per week, almost 1.3 million Facebook likes, almost 900,000 Instagram fans, almost 700,000 Vine subscribers and over 10 million views on YouTube. 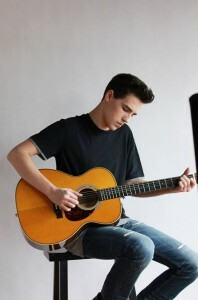 “At first, I was posting covers of popular songs and getting 20,000-50,000 hits,” said Whitesides. “I posted a One Direction cover and Liam, one of the guys in the group, tweeted that he liked it. “After that, I got a half-million hits in a couple days. “I had no clue because my fan base wasn’t that large. The first original I posted was ‘You’re Perfect’ — a super-catchy pop song that I’m not really proud of. Video link for Jacob Whitesides — https://www.youtube.com/watch?feature=player_embedded&v=ATS_yuko34Y. The Reflections Tour will have its final show of the tour on March 27 at 7 p.m. at the Keswick Theater. Tickets are $32.50 & $42.50. The African Children’s Choir, which is performing March 27 at the Annenberg Center (3680 Walnut Street, Philadelphia, 215-898-3900, has a great story behind it. In 1984, in the midst of Uganda’s bloody civil war, human rights activist Ray Barnett was called on to help the many thousands of orphaned and starving children, abandoned and helpless to feed and protect themselves. Realizing the enormity of the task Ray and his team came up with a unique approach. The only way to make a meaningful difference was to impact the lives of these children, one child at a time. The first Choir was formed in 1984, selected from orphaned and vulnerable children in the Kampala and Luwero areas of Uganda. After the Choir was trained to perform and readied for living in new and different cultures, the children travelled from Uganda to tour amongst the North American Church communities. They immediately impressed audiences with their vibrancy and outstanding musical talent. They quickly became a mouthpiece for the plight of the many thousands of vulnerable children like them in Uganda. The proceeds of the first African Children’s Choir tour also funded the building of an orphanage back in Kampala from which a second African Children’s Choir was selected. In the early years they would tour principally in United States, Canada and the United Kingdom. The proceeds of their tours, and the sponsorship support they would attract, funded a growing program of establishing literacy schools to enable the very neediest children to get a foot up into proper education. Meanwhile, the continuing care, education and development of returning Choir children was assured through the proceeds of Choir tours and the generosity of sponsors and donors. The African Children’s Choir inspires audiences through their unique blend of cultural song and festive dance. Members range from ages 7-10 and are survivors of the devastation of war, famine and disease. “We have 18 children in this touring choir — nine boys and nine girls,” said tour chaperone Emily Gronow, during a recent phone interview. “They are all from Uganda. We operate in seven African countries. Event co-coordinator Tina Sipp said, “In Uganda, we have a number of different projects. We support a number of different programs in and around Kampala. For the choir, children come to a weekend camp and our staff evaluates them. Then, a certain number are picked to go for training and they spend five months in a training center learning the program.” The result is vibrant music performed by pure, young voices. Video link for choir — https://www.youtube.com/watch?feature=player_embedded&v=10jrm6PxJTU. The March 27 show at the Annenberg Center will begin at 7:30 p.m. Tickets are $20, $30, $40 and $60. 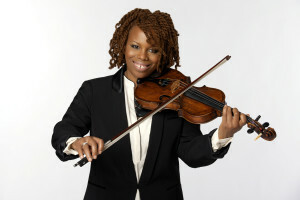 On March 28, the Annenberg Center will shift gears and host jazz violin virtuoso Regina Carter. Carter not only is a master of her instrument, she is a musician who delves into her roots with gusto. More evidence of her honoring the past can be found on her most recent album “Southern Comfort” on Sony Music Masterworks. “Southern Comfort” thematically connects Carter’s earlier albums “I’ll Be Seeing You: A Sentimental Journey” (2006), which features her mother’s favorite early jazz standards, and “Reverse Thread” (2010), which celebrates the tradition of African music re-imagined for violin, accordion, bass, drums and kora. On “Southern Comfort”, Carter explores the folk tunes her paternal grandfather, a coalminer, would have heard as he toiled in Alabama. She expanded the project to include other folk tunes of the region. Intent on making the past, present, Regina sought out distant relatives and books about the era in which her grandfather lived. From there, she went to the Library of Congress and the renowned collections of folklorists such as Alan Lomax and John Work III digging deep into their collected field recordings from Appalachia. “I was researching my family before I even thought about the record,” said Carter, during a phone interview last week from her home in North Jersey. “My grandfather was a coal miner in Alabama. I started re-connecting with relatives. I got pictures. “Then, I wondered what the music was like at that time — the late 1800s. I found a lot of interesting field recordings. The Lomax Collection had a lot. Some tunes were children’s games. Some were verse songs sung by miners as they were working. Carter had some assistance along the way with her research. She was awarded a MacArthur Fellows Program grant, also known as a “genius grant,” in September 2006. The award includes a grant of $500,000 over five years. “I was with Verve Records for a long time,” said Carter. “My last album with Verve was in 2006. I released ‘Reverse Thread’ in 2010. It took a long time because I used money from the MacArthur grant to research the music. Video link for Regina Carter — https://vimeo.com/87814819. Carter’s show at the Annenberg Center on March 27 will get underway at 8 p.m. Tickets are $25, $40 and $60. On March 27, David Uosikkinen will bring In the Pocket to the Ardmore Music Hall (23 East Lancaster Avenue, Ardmore, 610-649-8389, www.ardmoremusic.com) to celebrate the release of the group’s new single “Punk Rock Girl” — a song that was originally recorded in 1988 by The Dead Milkmen, one of Philly’s first punk rock. Uosikkinen is a member of one of Philadelphia’s all-time favorite bands — the Hooters. For his In the Pocket project — both live and in the studio — Uosikkinen uses a revolving lineup of Philadelphia’s most celebrated musicians to perform covers of tunes from Philly’s rich rock music history. In the Pocket’s version of “Punk Rock Girl” features Richard Bush (The A’s) on lead vocals, Tommy Conwell (The Young Rumblers) on guitar, Pete Donnelly (Figgs/NRBQ/Shelby Lynne) on bass, William Wittman (Cyndi Lauper) on guitar, Rob Hyman (The Hooters) on melodica, Eric Bazilian (The Hooters) on hurdy-gurdy, and Uosikkinen (The Hooters) on drums. “When I produce any song for In the Pocket, I grab a cool group of guys and do sessions,” said Uosikkinen. “I do it old school with everybody playing together. And, all the sessions are saved on video. I use ProTools to record the music. I use the console and then run it through tape. It just gives it that nice hug. “We cut ‘Punk Rock Girl’ two months ago — mid-February at Studio Four with Phil Nicolo producing it,” said Uosikkinen. ‘That was a lot of fun. It’s one of those songs. It’s like a Philly institution. It really was a fun song to record. In The Pocket’s lineup for this weekend’s show in Ardmore includes Graham Alexander (Paul McCartney in Broadway production of “Rain”), Steve Butler (Smash Palace), David Kershner, John Lilley (The Hooters), Bobby Michaels (Soul Survivors), Glenn McClelland (Ween), Zou Zou Mansour (Soraia), Fran Smith, Jr. (The Hooters), Wally Smith (Smash Palace, Crosstown Traffic), Greg Davis (Beru Revue), Cliff Hillis (Ike), Charlie and Richie Ingui (Soul Survivors), TJ Tindall (Bonnie Raitt Band) Conwell, Bush, Bazilian and Uosikkinen. Video for “Punk Rock Girl” — https://www.youtube.com/watch?feature=player_embedded&v=N3oQzXoG4Dg. In the Pocket’s show in Ardmore will start at 9 p.m. Tickets are $25 in advance and $30 day of show. Teenage Bottelrocket, a punk rock band from Wyoming, will perform at the Trocadero (10th and Arch streets, Philadelphia, 215-922-6888, www.thetroc.com) on March 28. Four days later, the band’s new album “Tales from Wyoming” will be released on Rise Records. The band was formed by brothers Ray and Brandon Carlisle, following the dissolution of their previous band Homeless Wonders in 2000. Their music alliance goes back much longer than that. “Brandon and I are twins,” said Ray Carlisle, during a recent phone interview from his home in Fort Collins, Colorado. “When we were around 10 or 11, we started learning some songs. Brandon got a drum kit and I got a guitar. When we were 12, we formed the Carlisle Trio and began playing some Ventures’ songs. Homeless Wonders was a start but not the right avenue. “It was a punk band but the sound wasn’t what we wanted,” said Carlisle. “It got to a point where we needed a band with simple chord progressions like the Ramones — and then strip it all down. “We started Teenage Bottlerocket after things crumbled with Homeless Wonders. We started writing songs we liked. We started playing shows and making a record. Our friend Zach Doe was our guitarist until he moved to Chicago and he named the band. “Tales from Wyoming” is the band’s sixth album. Teenage Botlerocket will open for Pennywise Saturday night at the Troc. The all-ages show will start at 7 p.m. with tickets priced at $25. On March 29, I Prevail, a metal band from Detroit, will make its area debut with a show at the Chameleon Club (223 North Water Street, Lancaster, 717-299-9684, http://www.chameleonclub.net). The band has yet to sign a record deal but its most recent effort in the recording studio has brought the Michigan metal band a ton of success. The song charted as the seventh most viral track on Spotify globally, based on the number of people who shared the performance divided by the number who listened to it. This encompassed the period from January 26th through February 1. Since being posted, the accompanying video has been viewed over five million times on YouTube. Not long after, I Prevail quickly show its real side by flexing its musical muscles with a few pile-driving songs. The all-ages show at the Chameleon Club will start at 6 p.m. Tickets are $12 and $15. It will be “Tribute Weekend” on March 27 and 28 at The Flash (102 Sycamore Alley, Kennett Square, 484-732-8295, http://www.kennettflash.org) with the Core (Eric Clapton tribute band) on March 27 and Countdown to Ecstasy (Steely Dan tribute band) on March 28. This weekend’s show at the Steel City Coffee House (203 Bridge Street, Phoenixville, 610-933-4043, www.steelcitycoffeehouse.com) will be 228 Presents: Alright Junior, Risen Resilient, Frozen Smoke and Darren Deicide. 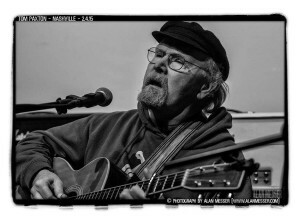 Chaplin’s (66 North Main Street, Spring City, 610-792-4110, http://chaplinslive.com) will have Duke Maroon, Overfield, Aim 4 Grey, Folk by Default on March 27 and An Honest Year, Rock & Roll After School SuperGroup, and Brosef Gordon-Levitt n March 28. Burlap & Bean Coffeehouse (204 South Newtown Street Road, Newtown Square, 484-427-4547, www.burlapandbean.com) will have SHEL on March 27 and Ethan Pierce and Silveeo on March 28. Melodies Café (2 East Ardmore Avenue, Ardmore, 610-645-5269, www.melodiescafe.com) will feature Capputrio on March 26 and Cynthia G. Mason, Lou Dominguez, Dylan Jane and Jason Ager on March 28. The Grand Opera House (818 North Market Street, Wilmington, Delaware, 302-652-5577, www.thegrandwilmington.org) will present Hannibal Buress on March 26, Herb Alpert and Lani Hall on March 27 and Swingtime on March 28. The Candlelight Theater (2208 Millers Road, Arden, Delaware, 302- 475-2313, www.nctstage.org) is presenting “How to Succeed in Business Without Really Trying.” The play, which won seven Tony Awards, the New York Drama Critics Circle Award, and the 1962 Pulitzer Prize for Drama, is a comedic story that was also a hit film. A satire of big business and all it holds sacred, it follows the rise of J. Pierrepont Finch up the corporate ladder from lowly window washer to high-powered executive. Tickets, which include a tasty buffet dinner, are $59 for adults and $33 for children (ages 4-12).